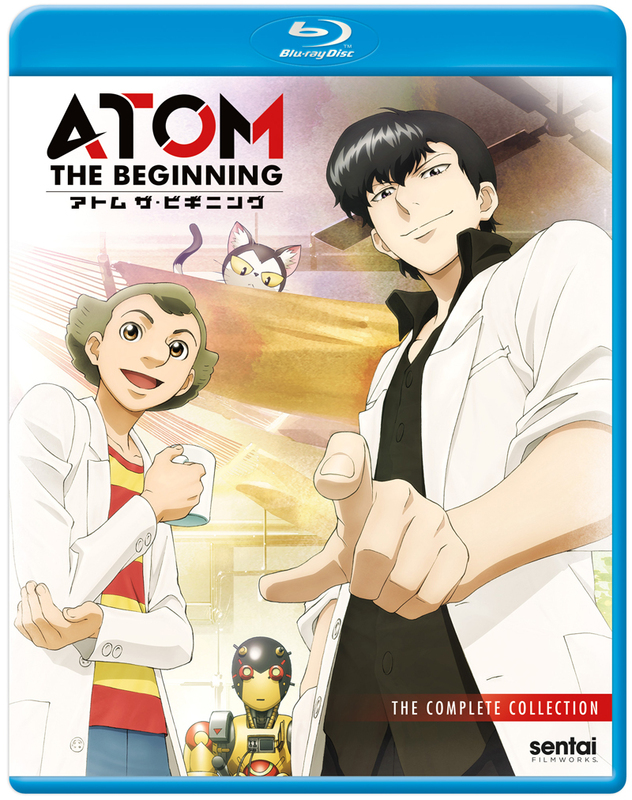 Atom the Beginning contains episodes 1-12 of the anime series directed by Katsuyuki Motohiro. In the aftermath of the Great Catastrophe, grad students Hiroshi Ochanomizo and Ummataro Tenma are working at the forefront of the exciting new field of super-robot development. Creating the next level of technology isn't cheap, however, and not only do the guys have to take on side jobs to keep their research going, they also have to contend with both jealous rivals and sinister organizations who want their secrets. Fortunately, our heroes also have an ace in the hole: their latest prototype, A106, who may just be the smartest, most powerful robot yet, and might even possibly be ATOM - THE BEGINNING!